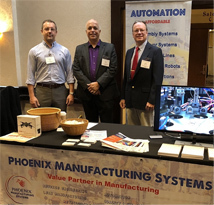 On June 6th, Phoenix Manufacturing Systems exhibited as a Patron Sponsor at the first ever Tech Summit hosted by the Indiana Manufacturers Association. IMA conducted a well-organized event with a professional atmosphere, located in the Marriot East Indianapolis Conference Center. Today’s landscape for industrial manufacturers is evolving rapidly. As domestic and global demand for goods increases it is becoming increasingly difficult for small and medium sized manufacturers to meet production, quality, and profit goals. The world population is growing faster than ever. Consumer demand is increasing. 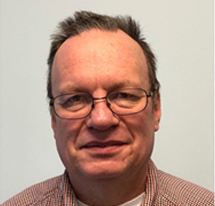 We would like to introduce you all to Mr. Aldon Engstrom, who joined our US Team as the Service and Project Support Manager, from the 12th of March 2018. 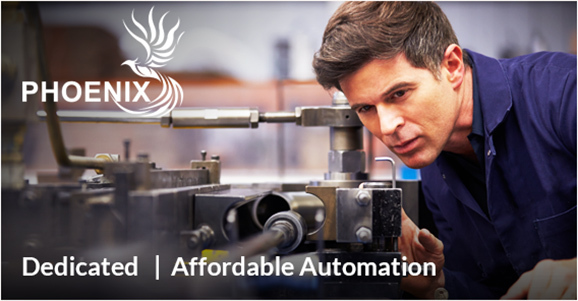 Aldon will be responsible for overseeing the Service function as well as leading the control engineering work of Phoenix Manufacturing Systems. He will also be providing project support for both the Chiketa and Phoenix sides of the business. Aldon is going to be relocating to Indianapolis from Valparaiso, IN, with his wife Lin and lots of dogs and cats. Aldon participates in historical reenactments of the Pioneer days and has enjoyed it for over 20 years along with the outdoors that goes with it. He is also an avid blacksmith and has been a part of the local blacksmithing demonstrations at various county fairs. He has an Associate’s Degree with some coursework towards Bachelor’s degree credits from Purdue University (Elkhart), in Mechanical Engineering. He also attended a Graduate Level course in the principles and operation of a Scanning Electron Microscope at the University of Notre Dame. He has close to 40 years of experience in metal fabrication companies. His roles have been in Engineering, Quality Control/Assurance, and shop supervision. 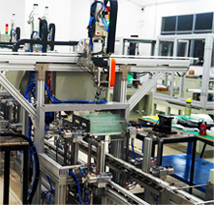 He has extensive experience with CNC lathes, CNC lasers, CMM’s, PLC’s, SPC, etc. and enjoys trouble shooting and problem solving of any and all machines. Please join me in welcoming Aldon to our team and I trust that you will extend to him the full co-operation and guidance as he executes his responsibilities in the coming days and years! Welcome aboard Aldon! We all are excited at the possibilities!! ©2018 www.phoenix-mfgsys.com. All Rights Reserved.